0.84 MB, 1080x1920px, 5.7 secs. 14.91 MB, 1080x1920px, 5.7 secs. 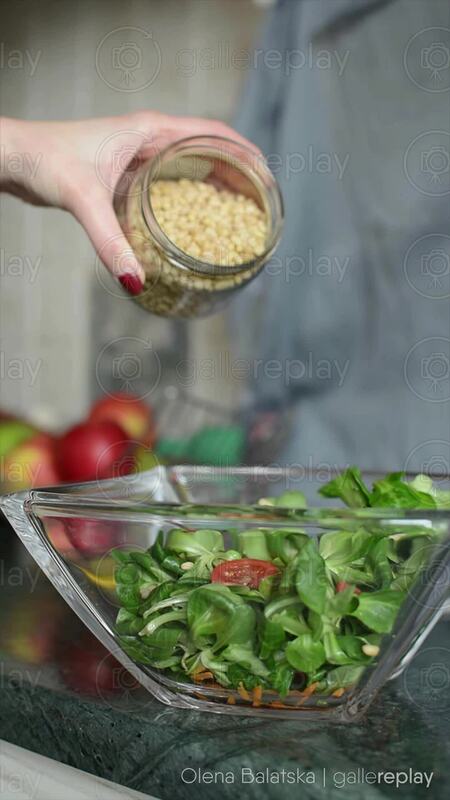 A hand pours pine nuts from a glass jar onto a green salad.